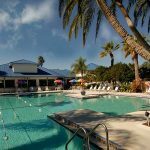 > Harbour Ridge Yacht & Country Club, Stuart FL, where a significant percentage of visiting couples end up making real estate purchases, presents its off season Stay and Play package. Beginning in May, enjoy two nights in a 2-BR condo and enjoy many extras for $500. The extras include dinner for two, luncheons for two, golf (two rounds) for two players plus unlimited tennis and use of the fitness center. The amount is refundable should you decide to buy property based on your visit and tour. Send me more information! 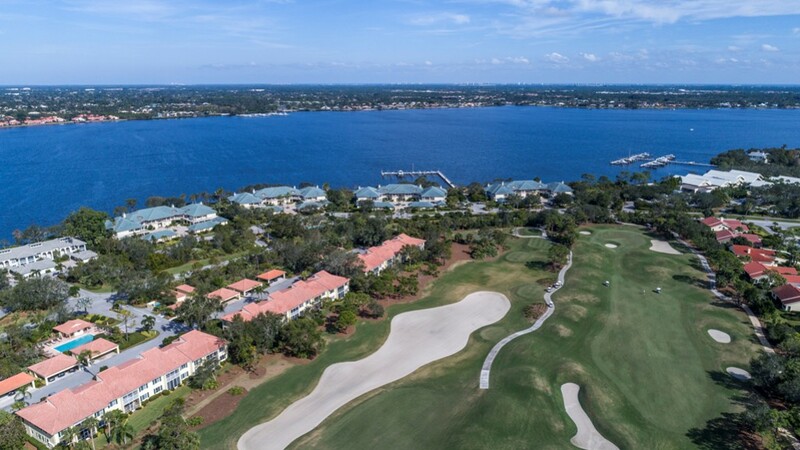 Harbour Ridge Yacht & Country Club was named ‘Community of the Year’ for 2015 and 2016 by the Golf Course Home Network for being the most visited golf and waterfront community over the course of the year. Send me more information! Harbour Ridge is divided into 28 separate villages, each responsible for their own government, but under the control and guidance of the main Property Owner’s Association. Prospective buyers also can choose from 14 different home and condominium styles. In all but the custom home villages, all lawn maintenance and exterior painting of the home is taken care of through the village. Other services include a maintenance and housekeeping department. When combined with golf courses and other open space, green space totals approximately 70 percent. With 659 residences on its 885 acres, the community has a low density of about one resident per 1.25 acre. Send me more information!